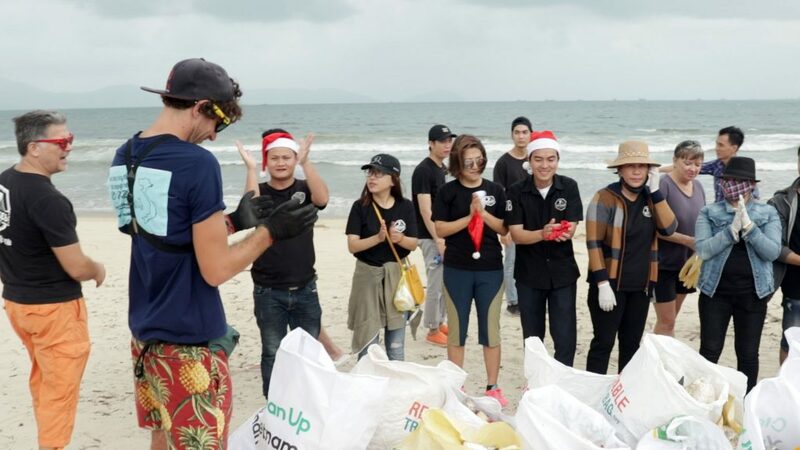 On this clean event SCUBA hooked up with no less than 4 different environmental organisations: Precious Plastic Da Nang, Evergreen Labs, 7 Bridges Brewery and Let's do it Da Nang who donated their staff, equipment and even their day off to help us clean Da Nang's back beach! Yet again we put on our Christmas Day hats and children, parents, tourists and locals all did their part to help us clean this truly huge beach! Over the course of 1.5 hours we filled 63 bags and even dragged them far to where the garbage disposal truck took them the next day! It was a great show determination, grit and friendship (my hand hurt after the amount of high 5's I racked up!). In the end we filled 63 bags with 32 volunteers removing 315 kg's off that beautiful beach! A big big thank you to 7 Bridges Brewery especially due to the fact that they literally closed the business to join the clean! We are really grateful and we can't wait to host another clean with you in the future! Next is a lonely clean at the top of the Hai Van pass in the rain! !